Bone Safety Roll-Up Signs are available in 36" x 36" and 48" x 48". Many Standard Legends are available, as well as custom legends, custom logos, custom sizes, custom colors can be ordered . Please contact us with any questions regarding customization. Bone Safety Signs specialize in MUTCD Compliant and NCHRP-350 Certified roll-up signs. 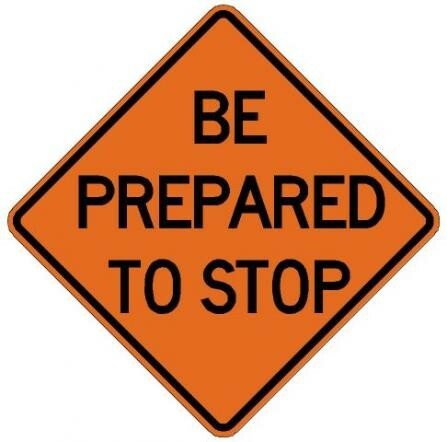 These types of temporary warning signs are used by DOT’s, Telco’s, Power Utilities, Road Contractors, City & County Governments, Mowing Crews, Landscapers, Underground Utility Contractors, Barricade Rental companies and many more.